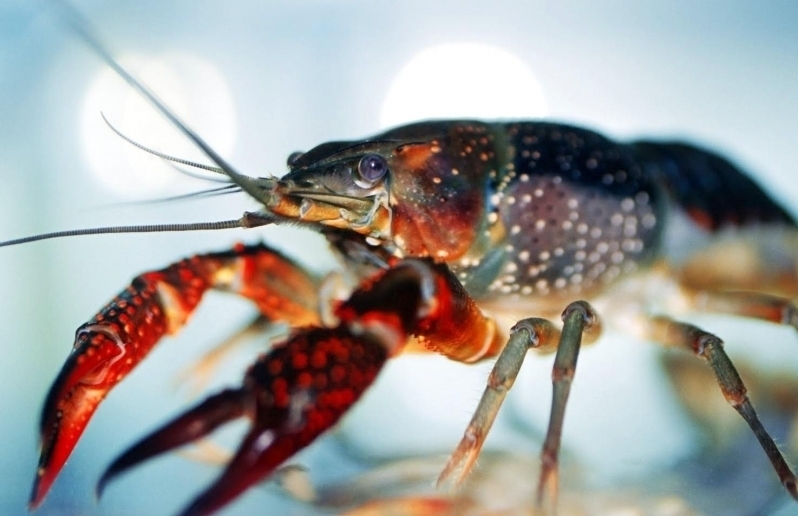 The Atlantic Lobster’s other 4 pairs of legs are used to crawl, rather than swim. 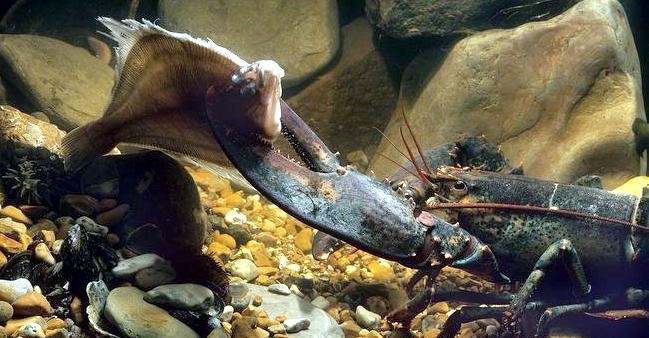 Underneath the abdomen are 6 pairs of swimmerets (also called pleopods) and have asymmetrical claws formed from the first of 5 pairs of legs, with the larger one used for crushing and the smaller one for cutting or seizing prey. 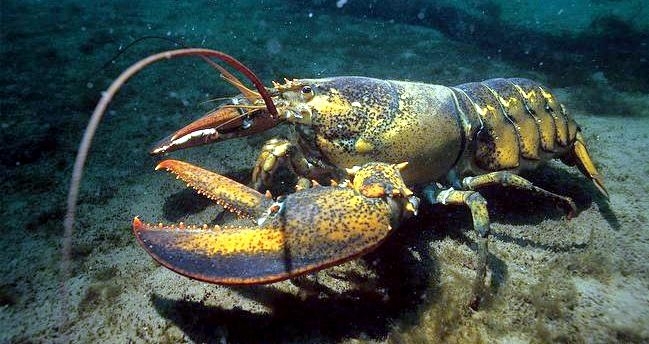 The first pair of swimmerets closest to the head, are hard & bone-like in the male but soft and feather-like in the female. 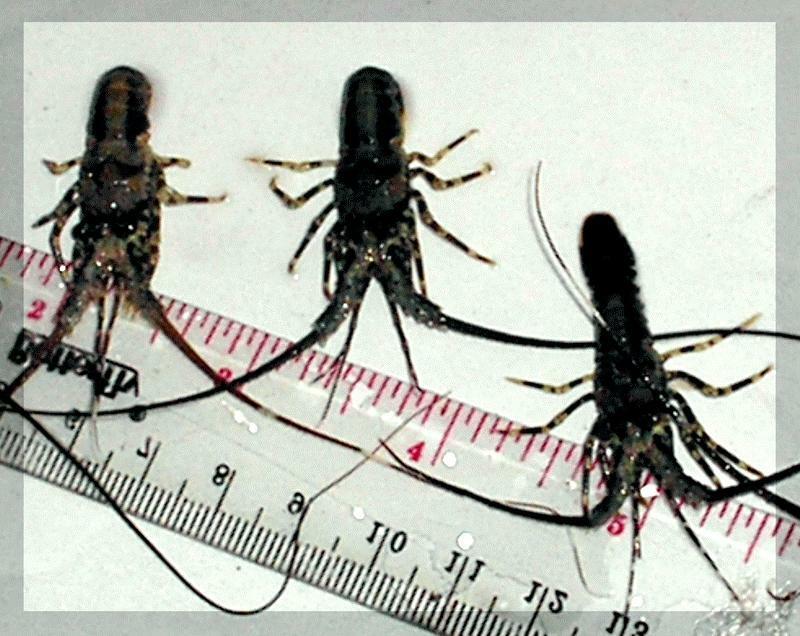 The last of the pairs is enlarged and forms what we usually think of as the tail. 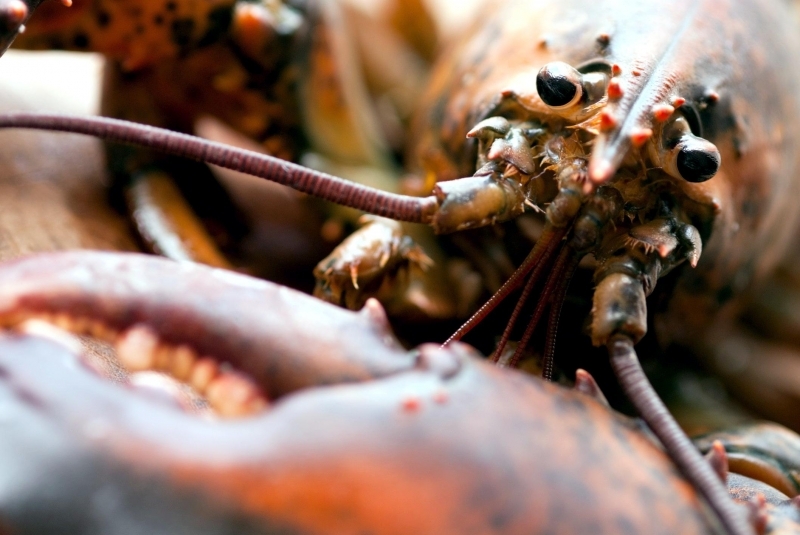 Lobsters have compound eyes, each made up of as many as 14,000 individual units, that are located on the end of short stalks. 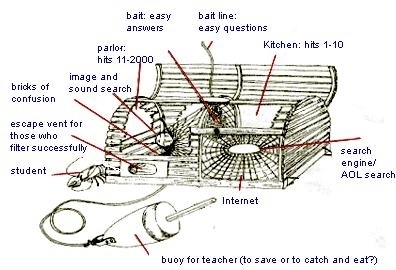 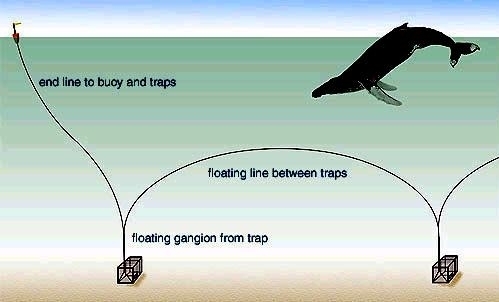 They can detect movement, though they may not be able to detect different colors. 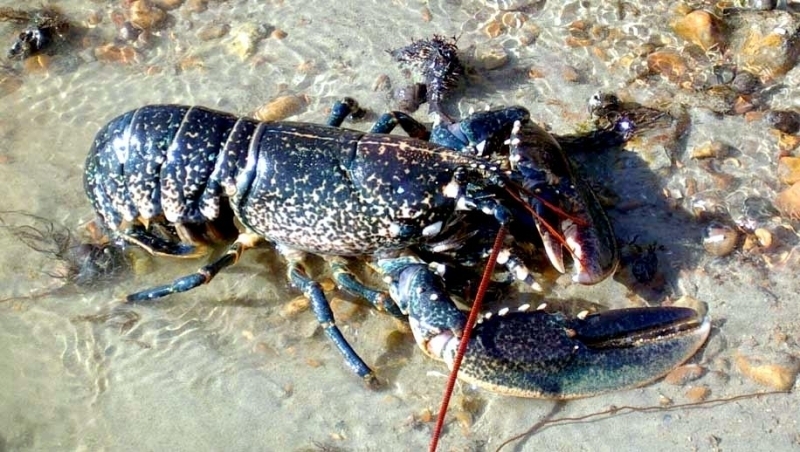 Live Atlantic Lobsters are usually olive-green or greenish-brown, though they may dusky-orange or even bright-blue depending on factors including diet, heredity and exposure to light. 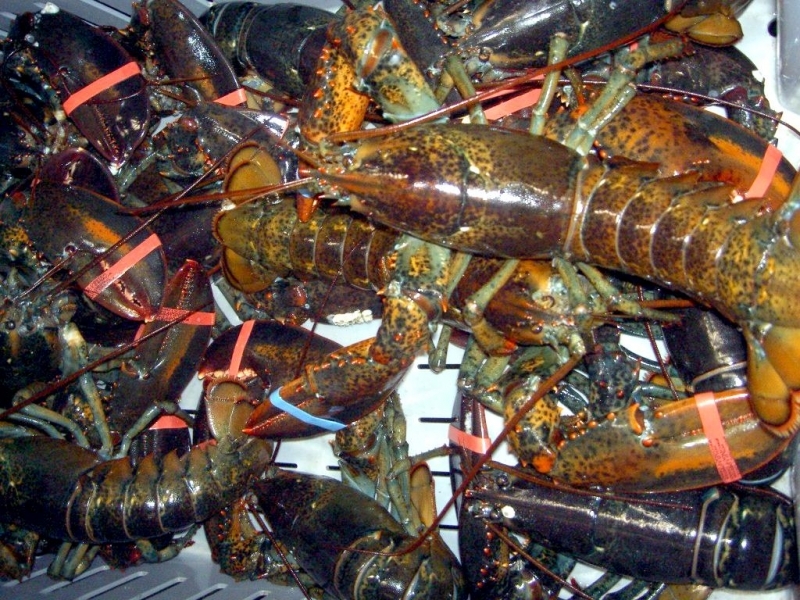 Atlantic Lobsters turn bright-red when cooked because the major pigment in their shell astaxanthin, is red only when it is not bonded to other chemicals. 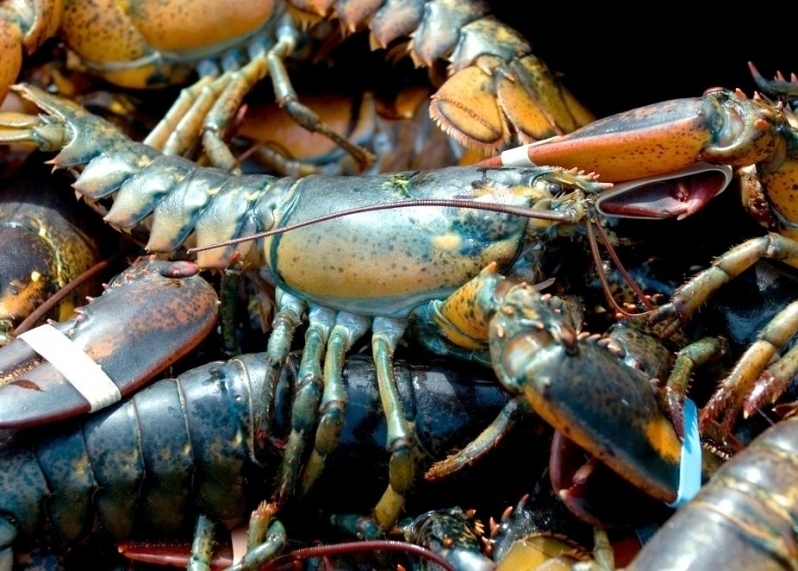 In life, the pigment is bonded to proteins; cooking breaks those bonds. 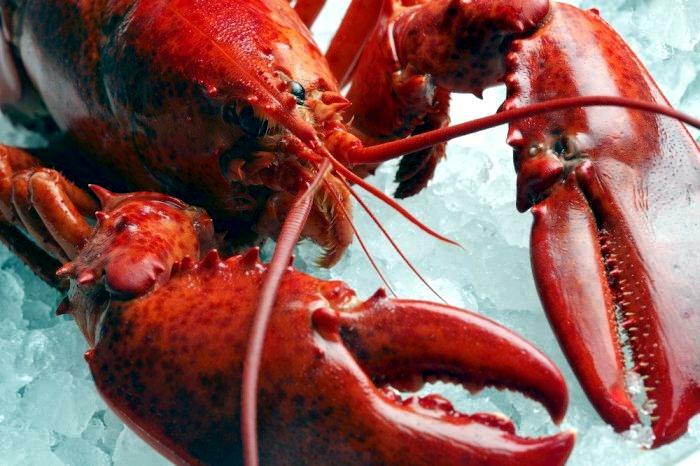 Before the twentieth century, eating Lobster was a mark of poverty because to many people they resemble an insect which is also why their Latin name is locusta, meaning “locust,” which led to the name “Lobster”. 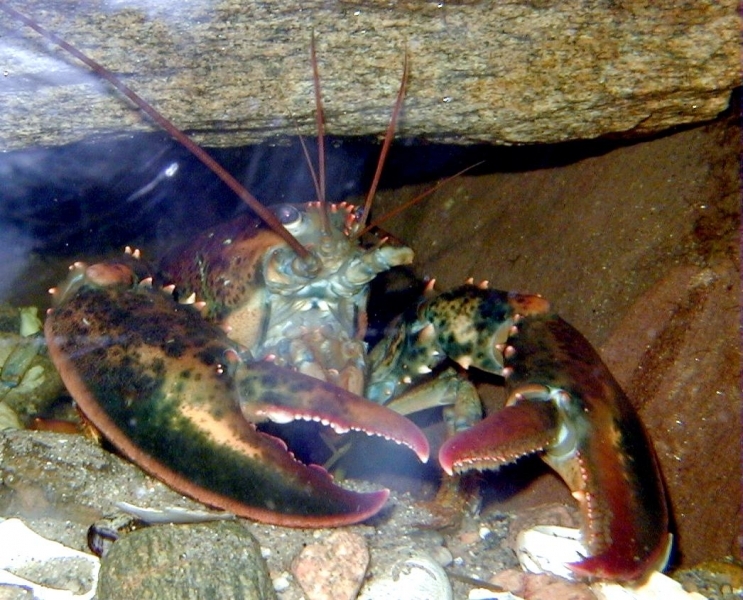 Atlantic Lobsters can mate only when the females are soft, shortly after molting. 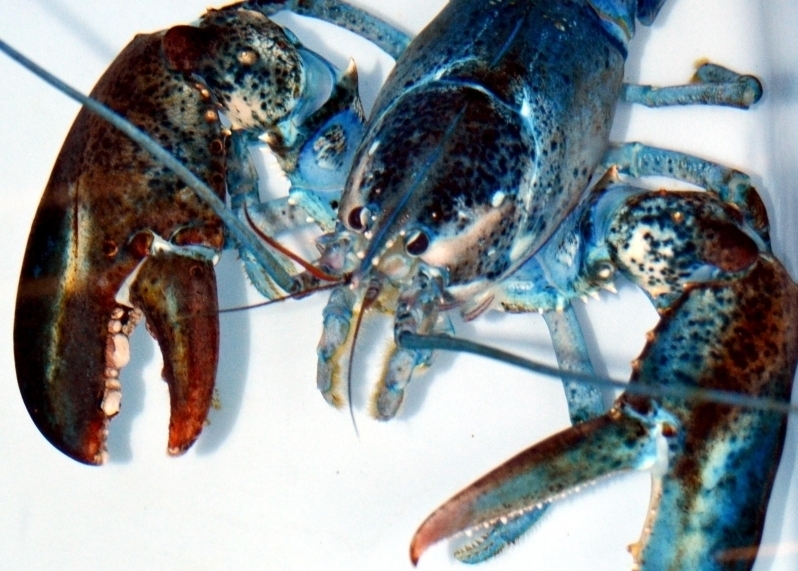 At this time, females release a pheromone and the mating pair begin a courtship dance with their claws held closed. 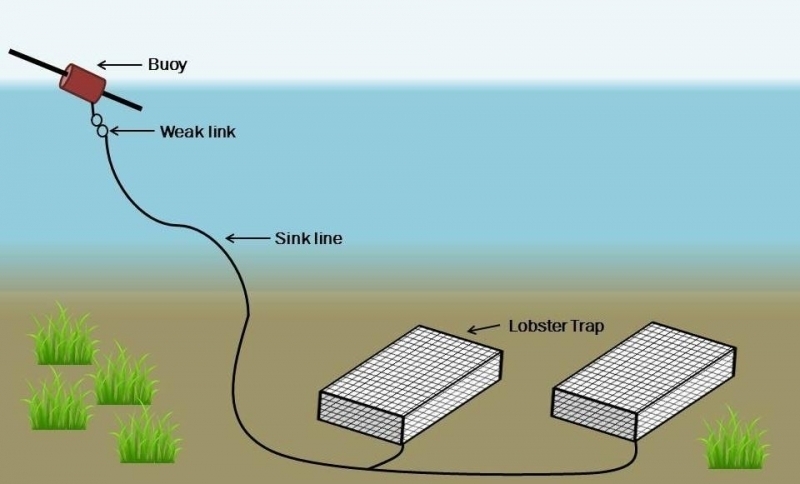 Males then insert their first pair of pleopods into the female’s seminal receptacle and deposit their sperm packets there, where they stay until the female produces eggs sometimes as long as 15 months after mating. 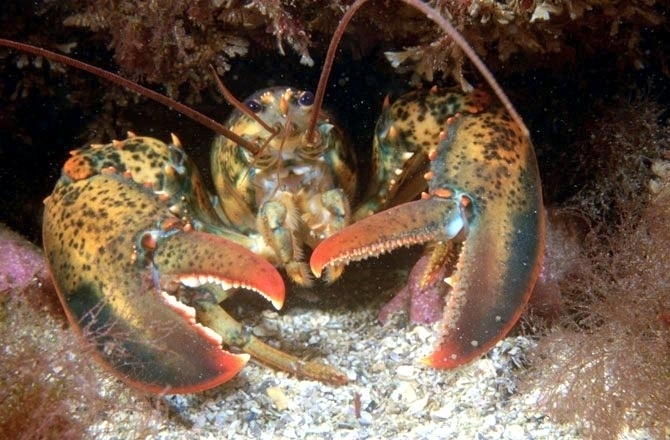 Once the eggs are released from the female Lobster’s oviducts into the seminal receptacle and fertilized by the stored sperm, they are cemented to the swimmerets where they remain for 10 to 11 months before hatching. 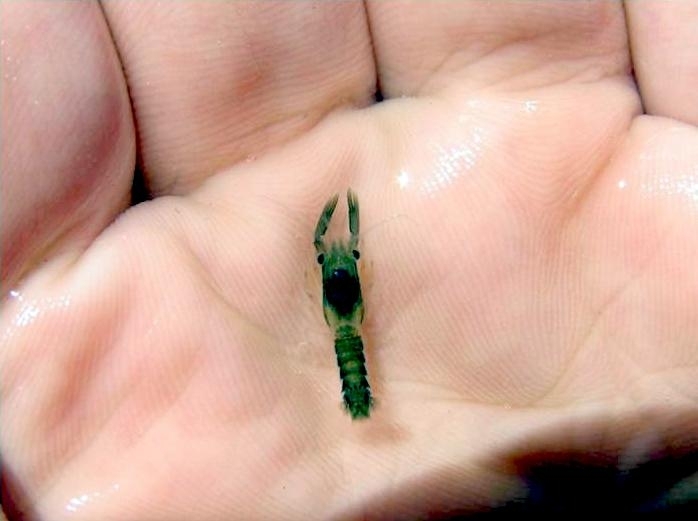 The transparent, “bug-eyed” larvae then molt 4 times over 10 to 20 days, depending on water temperature and congregate near the surface of the water, mixing with other types of plankton. 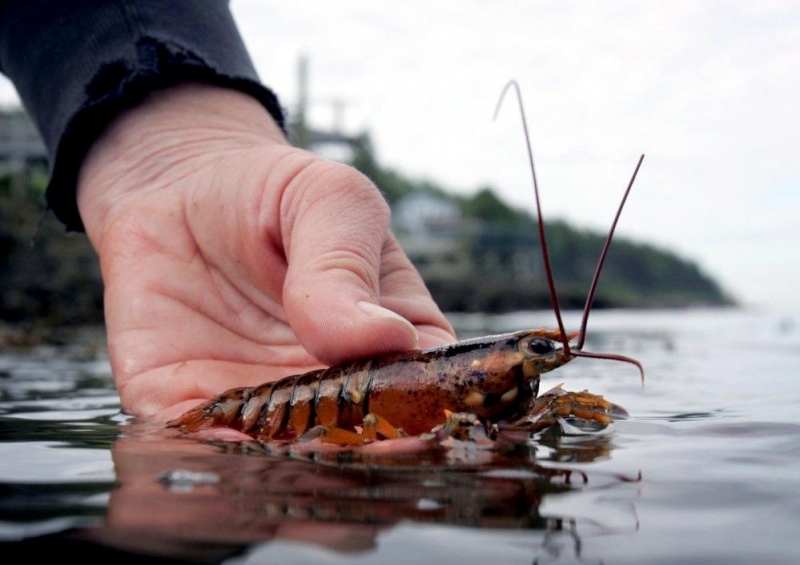 They are extremely vulnerable to predation and only about one-tenth of one percent of the larvae survive to young adulthood, when they sink to the rocky ocean bottom which is safer from predators. 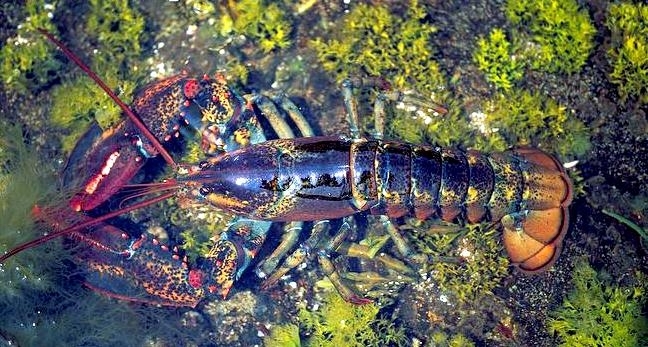 In the first year of its adult life, a young Atlantic Lobster will molt about 10 times and reaching a length of 2.5 to 3.8 centimeters. 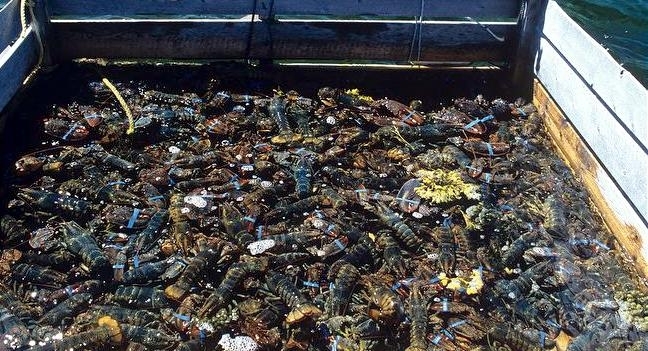 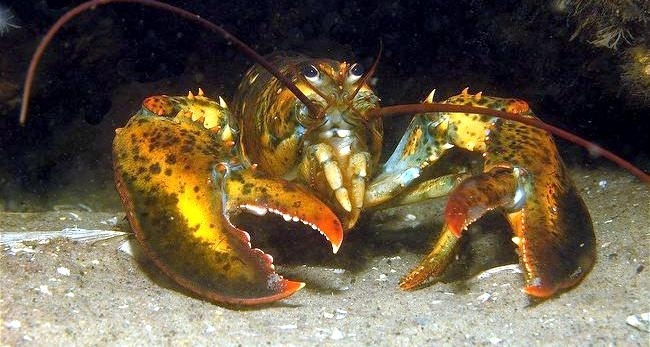 As Lobsters grow older, they molt less and less frequently. 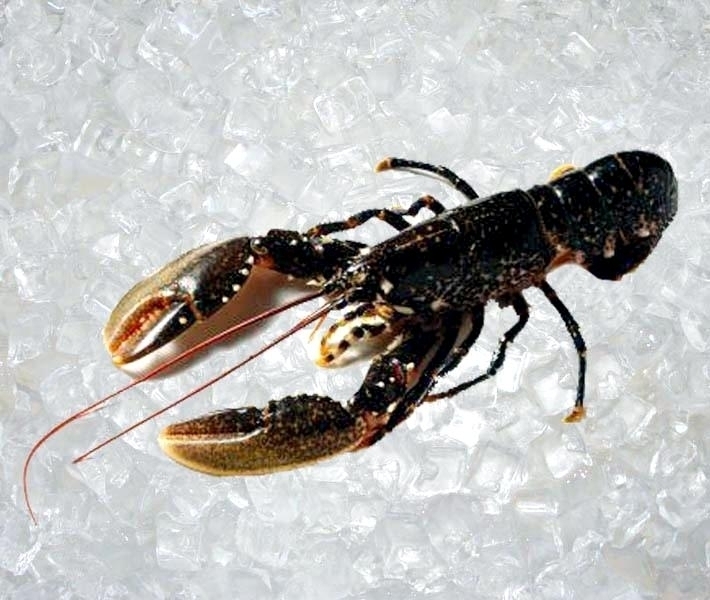 It takes about 6 years for an individual to reach a weight of .5 kilogram. 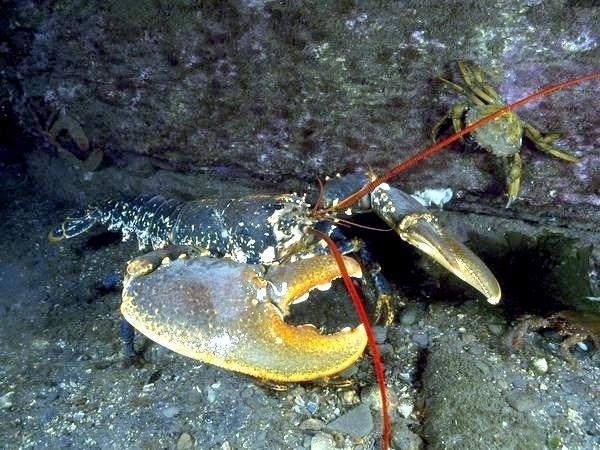 Atlantic Lobsters usually reach about 2 feet in length and 2 or more pounds, although the Guinness Book of World Records lists a giant and presumably very old specimen at 20.14 kilograms and 1.06 meters from the end of the tail-fan to the tip of the largest claw. 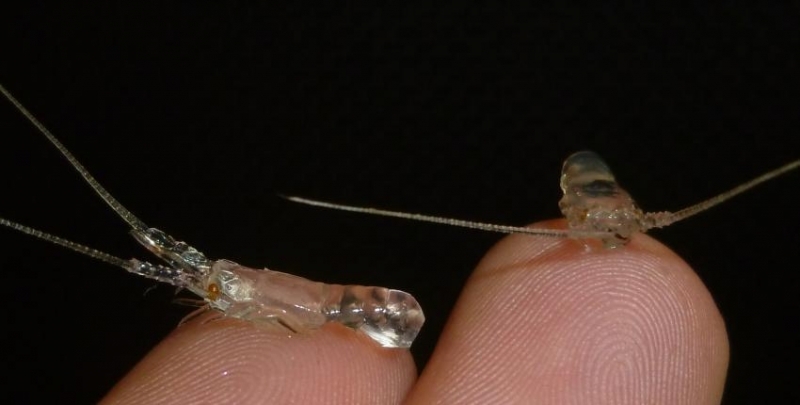 Adults molt 3 or 4 times a year, the only way they can increase their size. 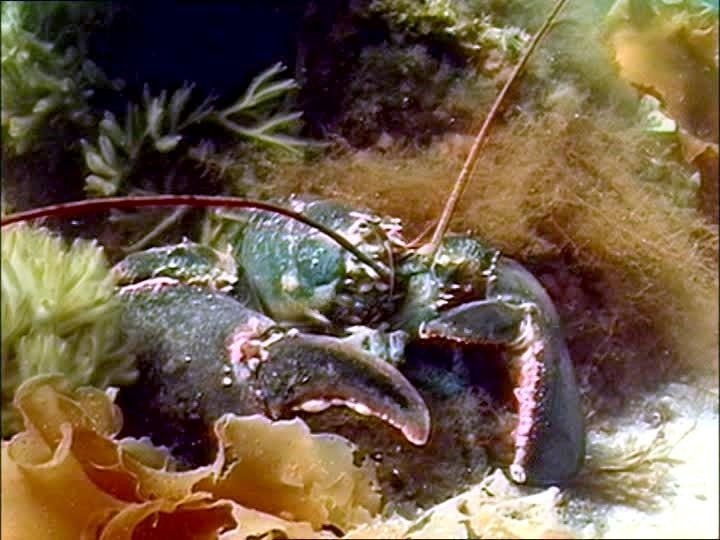 In preparation for molting, the Lobster lays down a new, soft shell underneath its old hard carapace, then seeks out a rocky crevice for protection from predators during this extremely vulnerable stage of life. 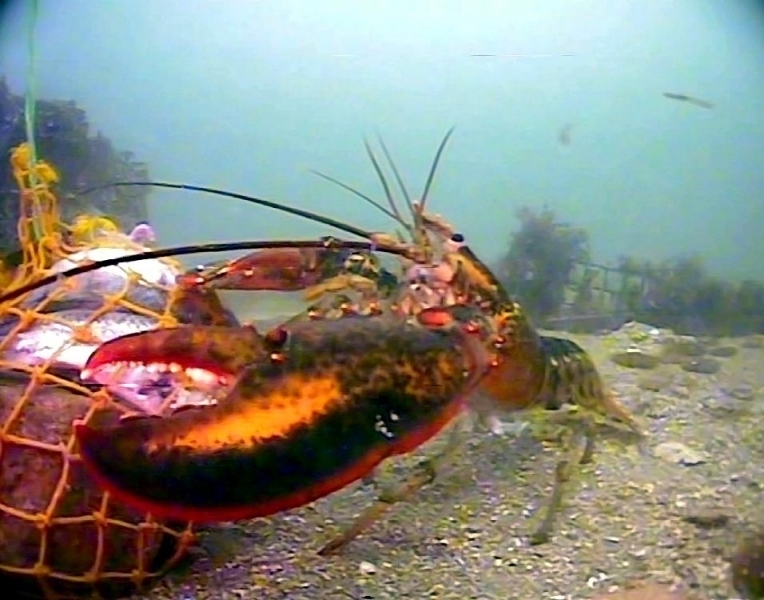 Not only is a newly molted Atlantic Lobster soft, it can barely move. 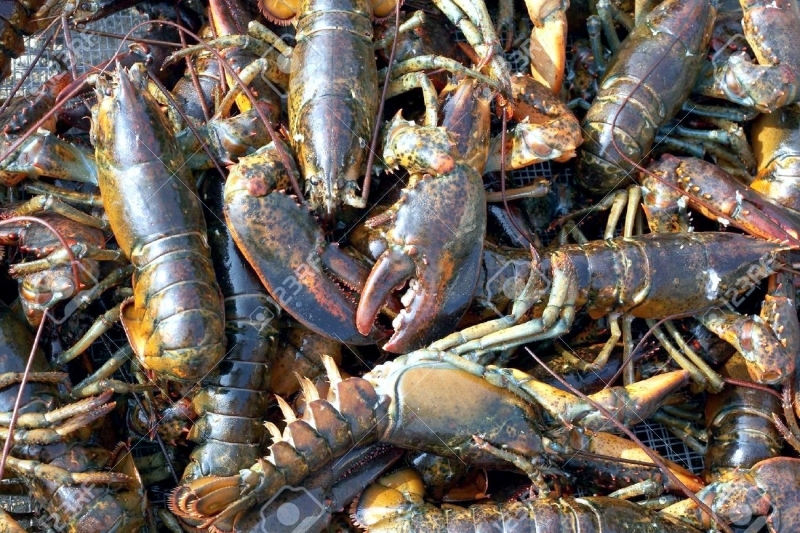 Then the Atlantic Lobsters rolls onto its side, bends into a V shape, shrinks its extremities by drawing fluids from them and withdraws from its old shell. 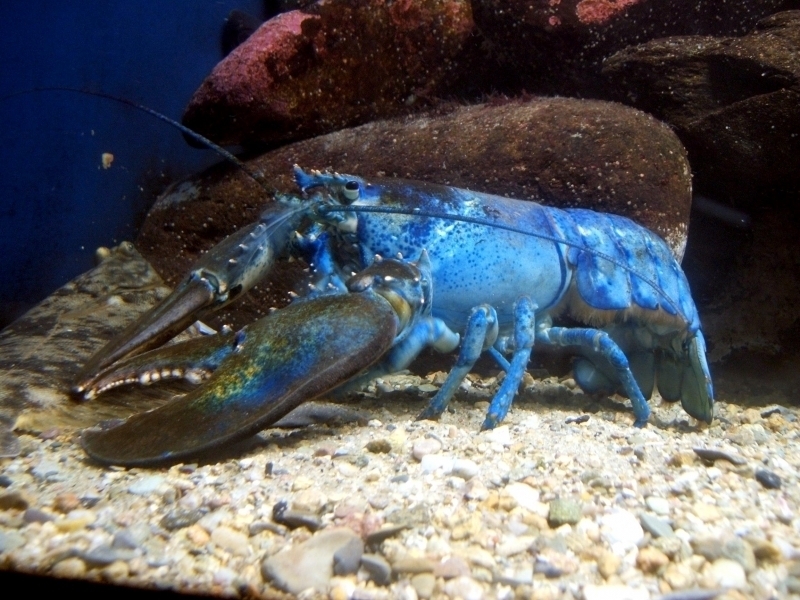 If it finds itself unable to squirm out of the old shell, the lobster may self-amputate a leg or claw to release itself, a skill that may also help it escape a predator, as seen in some small land lizards. 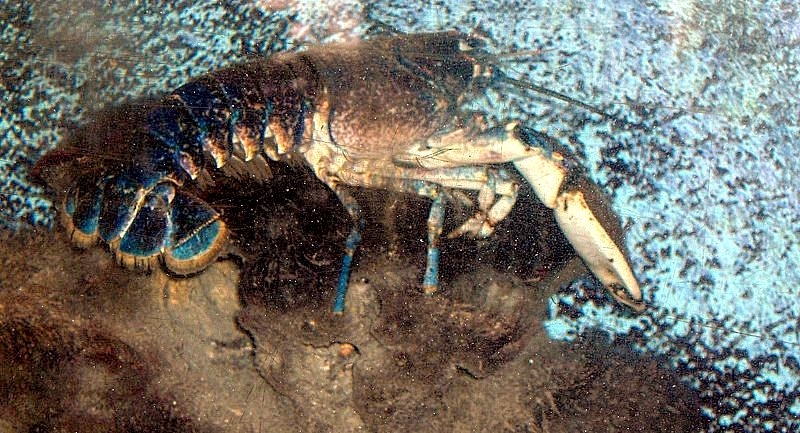 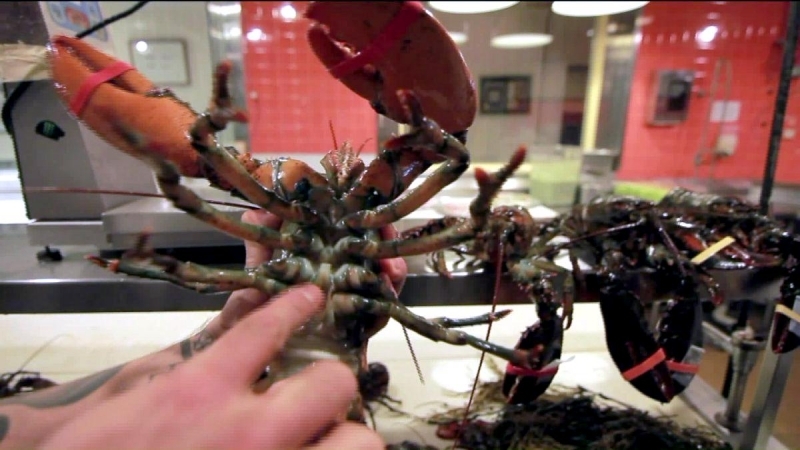 Over several hours after molting, the Lobster regains its larger size and the new shell begins to harden. 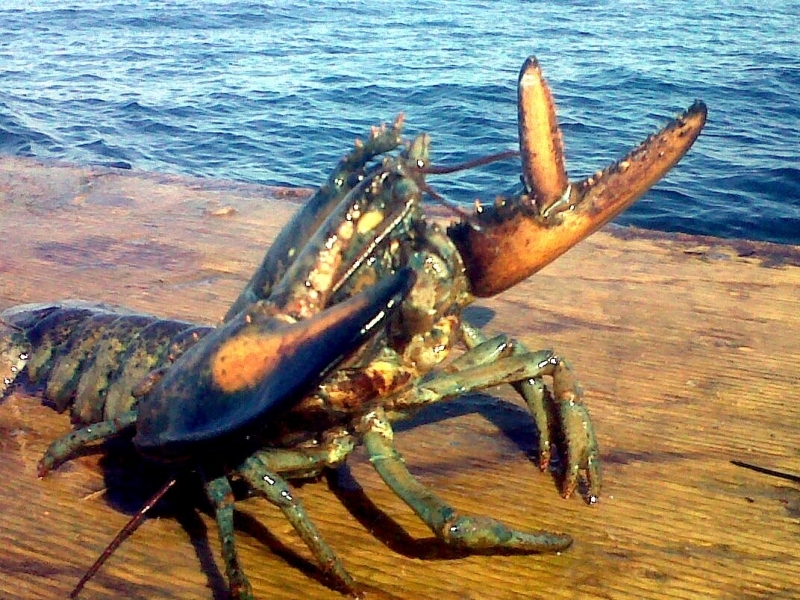 If it has self-amputated, the missing leg or claw will begin to regenerate. 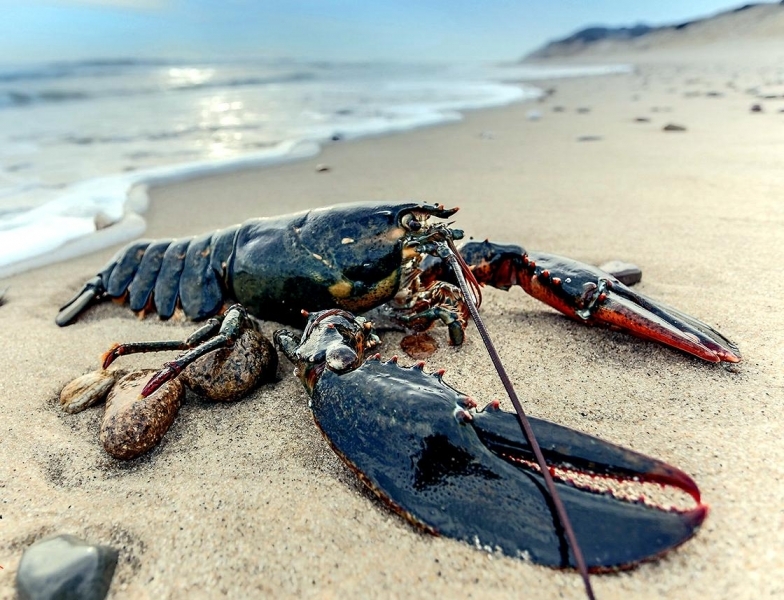 Scientists estimate that Atlantic Lobsters may live as long as 100 years, but no one has yet figured out a way to accurately tell a Lobster’s age. 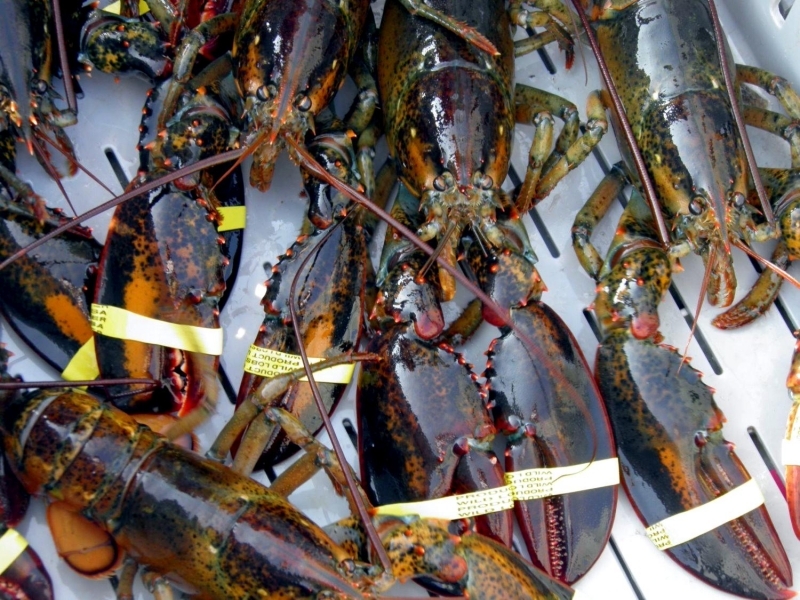 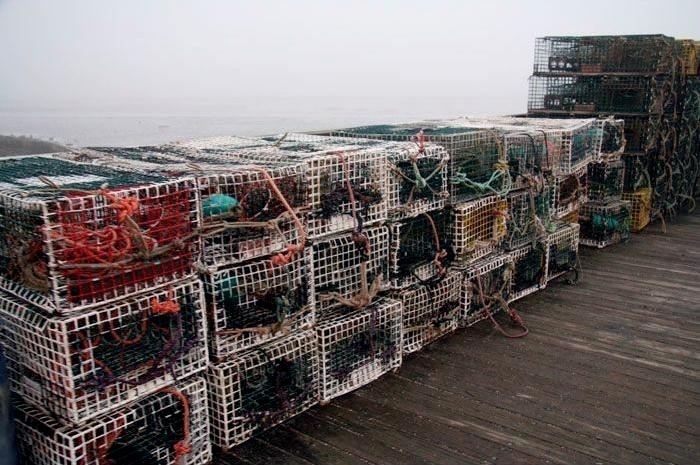 Atlantic Lobsters are by far most abundant off the coast of Maine, but the species can be found from the Canadian Maritimes down to Cape Hatteras, North Carolina. 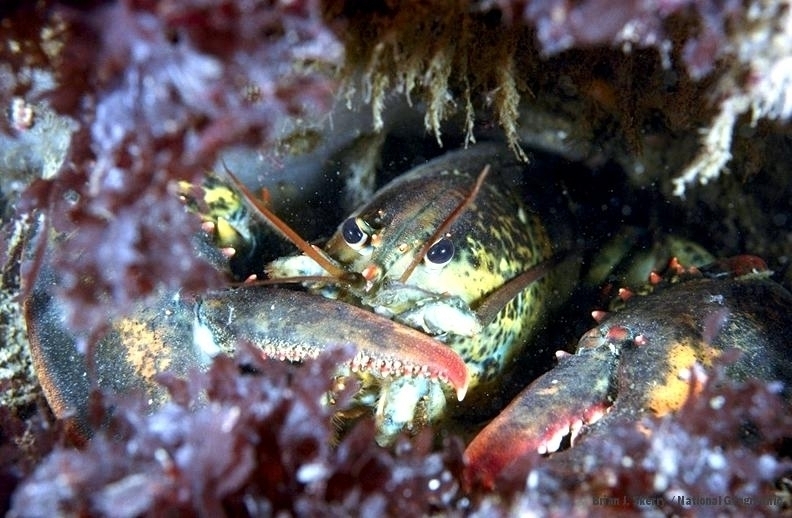 They may range from the intertidal zone to about 480 meters, but are most common from 4-50 meters. 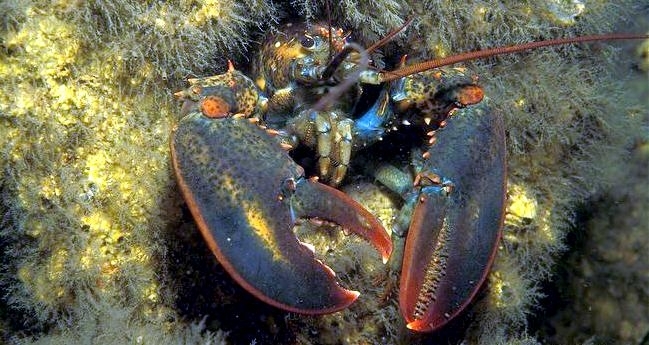 Atlantic Lobsters that live close to shore tend to stay in one small area, seldom moving more than a mile or so. 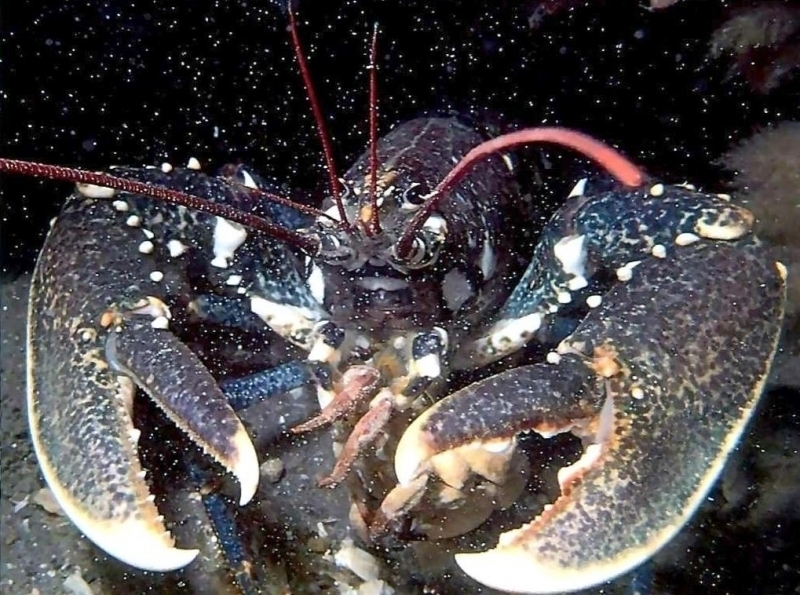 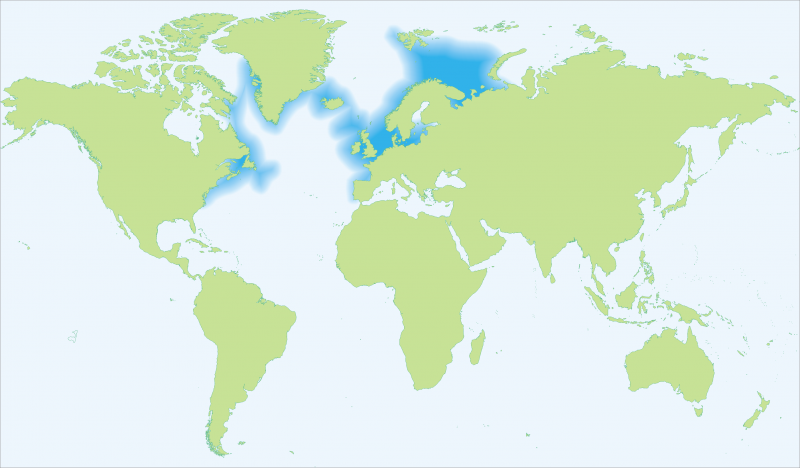 Deep water Atlantic Lobsters farther out on the continental shelf however, migrate shoreward in the summer, returning to the shelf as temperatures cool in the autumn. 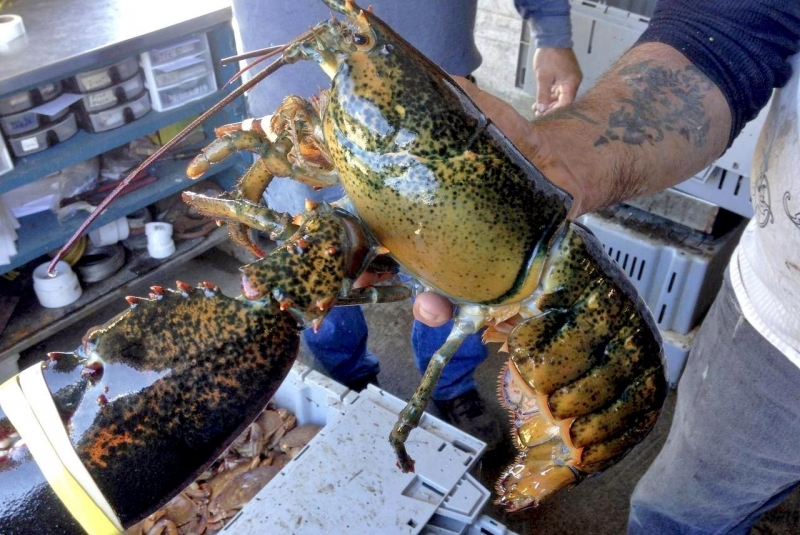 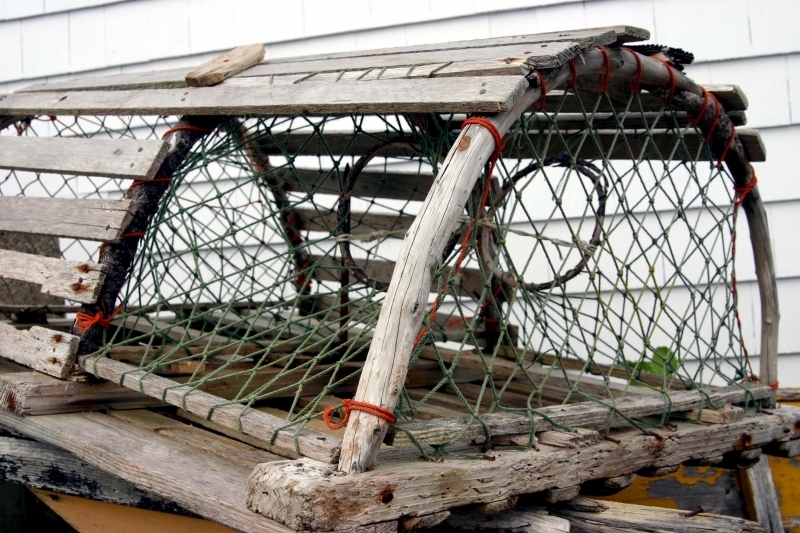 The record travel so far is 362 kilometers covered by a Lobster tagged off the continental shelf and recovered at Port Jefferson, Long Island, New York. 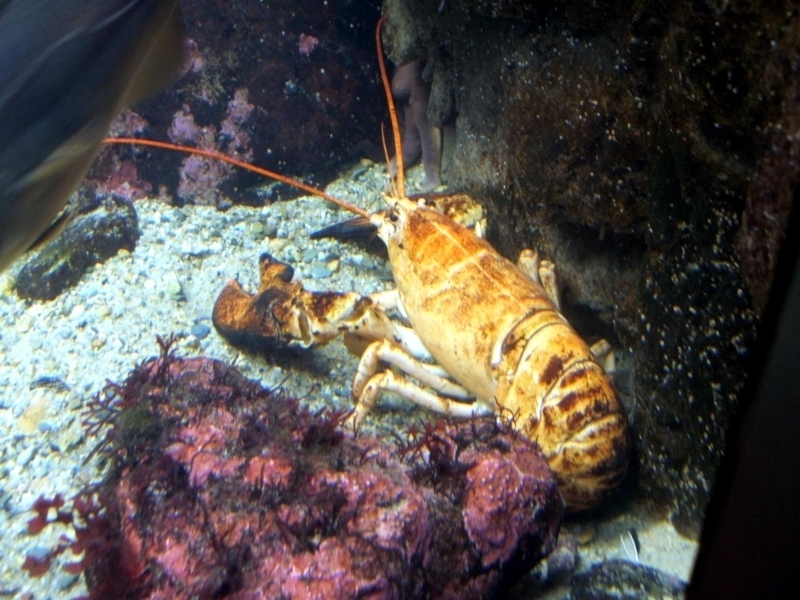 Atlantic Lobsters eat mainly live food—fish, small crustaceans & mollusks, though they will scavenge when necessary. 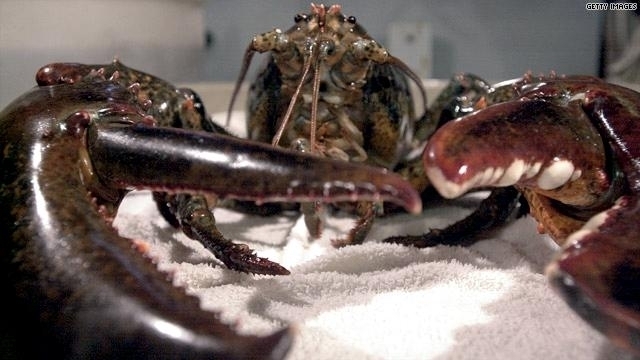 Their diet typically consists of crabs, clams, mussels, worms, an occasional sea urchin or flounder and even a few plants. 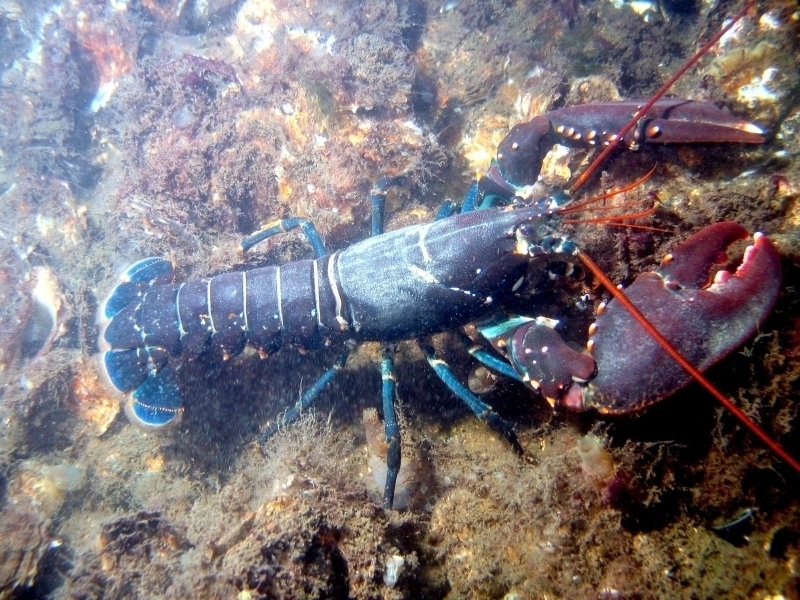 Atlantic Lobsters have been observed eating all manner of organisms, gnawing on the tails of skates, burying crabs in the sand for extended snacking over a period of days, even eating other Atlantic Lobsters when kept in captivity (however, cannibalism has not been observed in the wild). 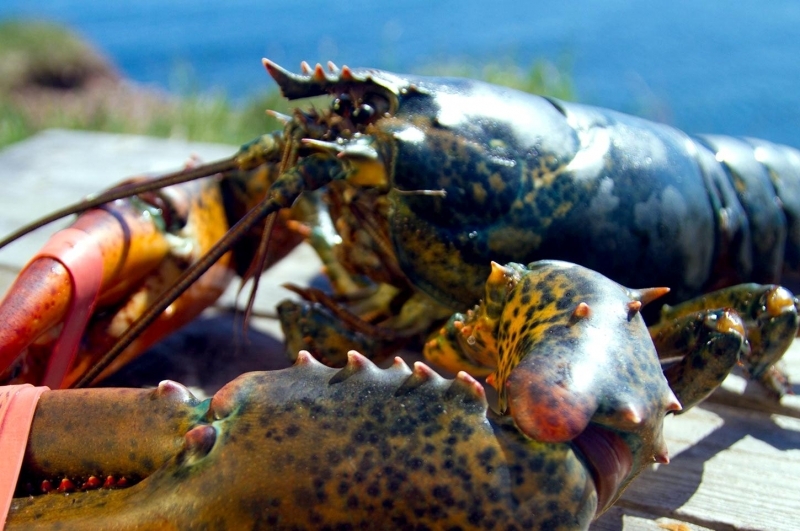 Scientists have found lobster skin in the guts of wild lobsters but this is not likely evidence of cannibalism, because Atlantic Lobsters eat their own molts in order to replenish their calcium reserves after their molting process.